"We'll always be with you. No one's ever really gone." Disney has debuted the first trailer and official title for Stars Wars: Episode IX. 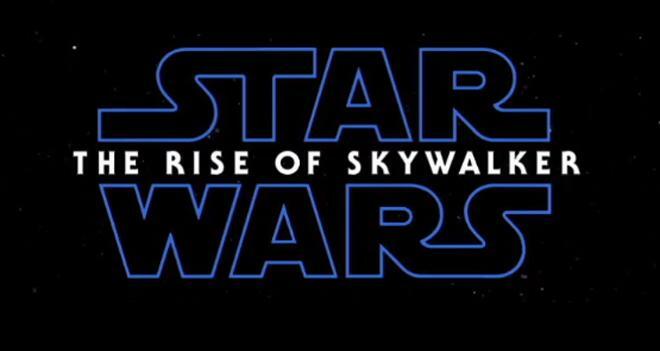 The film will be called Star Wars: The Rise of Skywalker and is set to hit theaters on December 20, 2019. Though full plot details have not been revealed yet, the story is being billed as the final chapter in the Skywalker saga. The film's returning cast will include Daisy Ridley, Adam Driver, John Boyega, Oscar Isaac, Lupita Nyong’o, Domhnall Gleeson, Kelly Marie Tran, Joonas Suotamo, and Billie Lourd, along with new additions Naomi Ackie, Richard E. Grant, Keri Russell, and Dominic Monaghan. Meanwhile, Mark Hamill, Anthony Daniels, and Billy Dee Williams will all be featured as well. Likewise, Carrie Fisher will also make an appearance in the film as Leia Organa through the use of previously unreleased footage shot for Star Wars: The Force Awakens. Beyond Episode IX, Disney is also developing a new trilogy of Star Wars films with director Rian Johnson. In addition, Game of Thrones showrunners David Benioff and D.B. Weiss are also working on new films for the franchise. Meanwhile, a Star Wars: Rogue One prequel series starring Diego Luna and a show titled The Mandalorian from executive producer Jon Favreau are in development for the Disney+ streaming service.